Here’s our Xur post for January 9, 2015. Destiny fans, it’s already 2015! But even so, PlayStation LifeStyle is back once again with another Destiny Xur location and item post to ring in the new year. 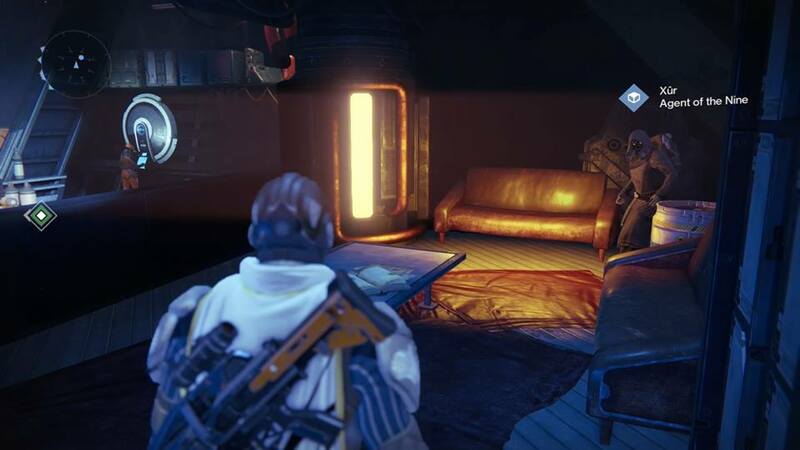 For this weekend, Xur – Agent of the Nine is in the Tower Hangar Hunter’s Lounge. As for his items, it’s once again full slate of Exotics ranging from armor to weapons of all kinds that should make your Guardian just a tad more powerful. In other Destiny news for the week, which we admit has been a slow one due to all the holiday events, Bungie extended last week’s Xur event due to the recent PSN outages. If the network outages weren’t aggravating enough, some players were said to be having a hard time signing in Destiny servers as well. On another note, you might want to check out this video where a player solos the Crota’s End Raid with one of the game’s worst guns, the No Land Beyond sniper rifle. Are you getting anything from Xur this week or are you waiting until Bungie raises the level cap again before getting more Exotics?